Buy A North Shore Home This Spring! If you put off your home-buying goals this winter in Glencoe, Winnetka, Highland Park, Deerfield, Northbrook, Lake Forest, Wilmette, Evanston, Glenview, Riverwoods, Bannockburn, and other North Shore communities, I understand! As a North Shore real estate agent, I see that a lot, especially during a cold and snowy winter like we had this year. But now that the spring season has sprung, now may be a great time to purchase your North Shore dream home! 1. Home prices will continue to rise. The latest U.S. Home Price Insights report from CoreLogic reports that home prices have appreciated 4.4 percent over the last 12 months. These reports predict that prices will increase another 4.6 percent over the next year. The sooner you buy, the more you could save each month on your mortgage payment! 2. Mortgage rates may increase. Nobody knows what mortgage rates will do for sure, but all major mortgage experts predict that they will rise over the next 12 months, including Freddie Mac, Fannie Made, the National Association of Realtors and more. They are still low compared to historic standards, almost as low as 4 percent right now, so take advantage while you can! 3. Spring conditions are better for house hunting. The weather here on the North Shore is always a wild card this time of year, but the days are longer, allowing more showings to take place in the evenings after work! There are also fewer days of snow and freezing temperatures. Take advantage now, before summer hits and all the fun that comes with it. 4. You’re paying a mortgage either way. If you’re currently renting, you’re still paying a mortgage. You’re paying your landlord’s mortgage. Why not invest in your own financial future and start paying your own mortgage? You’ll build equity, and when you sell someday, you’ll get that money back! Homeownership is like forced savings, and your future self with thank you. 5. It’s time to accomplish your dreams. You have a reason for wanting to buy. You want to invest in your financial future, you want to move to a community you’ve always wanted to live in, you want to be closer to work, or family, or public transportation, or parks. You want to be able to remodel your home however you wish. Whatever your reason is, why wait? When ready to buy a home in the North Shore real estate market this spring, give me a call, your North Shore real estate agent! I am here to answer all of your questions about the market and the home-buying process, and then to guide you through the entire process until you have keys in your hand. Once summer hits and the kids are out of school, or your social calendar fills up, your real estate goals might end up on the back burner. Take advantage of the warmer spring season and contact me! 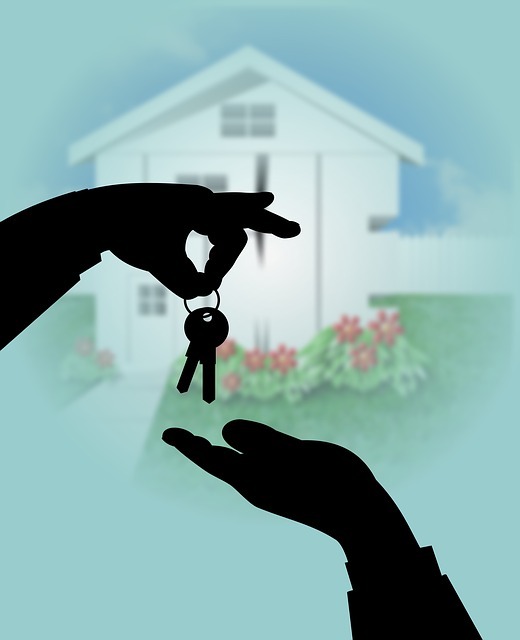 Let’s together accomplish your North Shore home-buying and/or home-selling goals now! City Active Listings: There are a total of 158 properties actively on the market with the average price of $605,062 in Deerfield. City Sold Listings: 10 properties closed last month in Deerfield with an average sales price of $400,460. The average time on market for these properties was 61 days. City Active Listings: There are a total of 84 properties actively on the market with the average price of $1,295,282 in Glencoe. City Sold Listings: 7 properties closed last month in Glencoe with an average sales price of $648,000. The average time on market for these properties was 62 days. City Active Listings: There are a total of 257 properties actively on the market with the average price of $820,274 in Highland Park. City Sold Listings: 22 properties closed last month in Highland Park with an average sales price of $638,199. The average time on market for these properties was 87 days. City Active Listings: There are a total of 276 properties actively on the market with the average price of $644,631 in Northbrook. City Sold Listings: 39 properties closed last month in Northbrook with an average sales price of $477,590. The average time on market for these properties was 88 days. When in the market as a North Shore homebuyer, it’s easy to fall for outdated mortgage advice. After all, we have the internet at our fingertips, filled with information and opinions on all matters, and we have friends and family members, who offer us tips from when they bought a home. The thing is, the North Shore real estate market is constantly changing, so real estate advice can quickly become obsolete. The best advice is straight from a real estate agent and mortgage lender in the area where you’d like to buy. Both keep up with the latest stats and trends in the area, and can help you make the best decisions as a homebuyer and mortgage qualifier. 1. You need to have a 20 percent down payment. Most homebuyers still believe this to be true, even though in actuality, few first-time buyers can make a 20 percent down payment anymore! 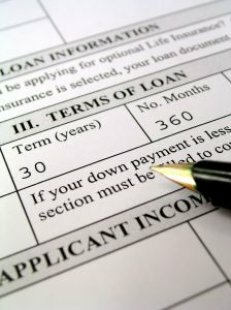 There are traditional loans offering 10 percent down or less, and FHA loans require as little as 3 percent. If you don't have 20 percent saved, shop around to see what the best option is for you. 2. Choose a 30-year mortgage with a fixed interest rate. While this is still the most common type of mortgage, it’s not the only option. If you’re buying a forever home on the North Shore, this may save you the most money over a long period. However, if you’re buying a starter home, but plan to move in the near future, a five or seven-year adjustable rate mortgage might work better. It’s best to check all of your options. 3. Wait for interest rates to drop. Because interest rates have been at historic lows in the last few years, now that they are on the rise, you’ll often hear the advice that you should wait until they drop again. However, mortgage experts predict that interest rates will increase rather than decrease this year and in the coming years. Right now, they are still near historic lows, though not as low as they were in the past couple years. So while you may have already missed the lowest they will be, the sooner you buy, the sooner you could get a great rate before they increase. As you can see, you have many mortgage options as a North Shore homebuyer! Your best bet is to meet with a mortgage lender to get pre-qualified and find out what you qualify for, and to meet with a North Shore real estate agent to find out what houses are going for in the area you’d like to buy. Whether you’d like to buy in Glencoe, Winnetka, Highland Park, Deerfield, Northbrook, Lake Forest, Wilmette, Evanston, Glenview, Riverwoods, Bannockburn, and other North Shore communities, I can help you out! Give me a call and let’s work toward achieving your North Shore real estate market goals this winter or spring season.